Nollywood is a term you probably haven’t heard of before. Don’t worry I was the same. Nollywood is Nigeria’s film industry, which is the third largest film industry in the world. These films draw on traditional characteristics and situations that are present in Nigeria as well as TV series that are imported from other places such as Argentina, Mexico and Korea. The producers of these films draw on the motif of corruption using a mixture of melodrama and magical culture which is very popular in the Nigerian and African communities in the West. 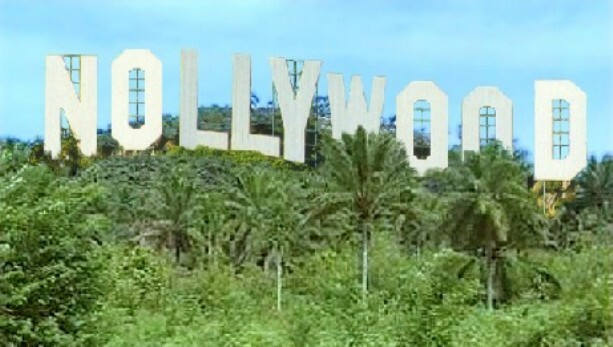 One of the characteristics that marks Nollywood as an autonomous local cinematic expression is that it looks inwards and not outward (Ryoo, W. 2009, p.1) Meaning Nollywood as previously stated looks towards to the problems which are current in their population such as corruption, instead of incorporating other influencing problems in the West. Overall it values the entertainment of its clients which is its primary motion, as well as produce culture from the bottom of the street. It does this by providing the imaginary for certain sections of the society where it operates like the poorer part of its postcolonial bases (Ryoo, W. 2009, p.2). However, outside of Nigeria and overall Africa, Nollywood is still largely a curiosity to most of the world. Example of a Nollywood Movie in the making. These Nollywood films with their playful narratives of the social and cultural life of the Nigerian are delivered to shops and market stalls every week, where an average of 50,000 copies are sold. Nigerian films are neither shown in movie theatres or TV and can’t be enjoyed by a larger audience because of the Censor board that is seen by many to be too restrictive (Ryoo, W. 2009, p.5). “Street corner” Audiences are the the target audiences for these movie, they come together in front of the video and music stalls, which are the main outlets for the rental of video, DVDs and cassettes (Ryoo, W. 2009, p.7). Nollywood may be the third largest film production but South Korea is only the seventh largest. The introduction of new media such as TV and satellite has provided technological springboards for this trend, as new media creates fast spaces for multi-channel broadcasting, within this the Rise of South Korea TV, drama and cinema following the popularisation of southern Korean music has created an interesting phenomenon which required closer analysis of the transnational circulation and consumption of media products. The popularity of south Korean dramas and music had begun to edge out American and Japanese market dominance in Asia, which regionally caught the Korean wave. The term ‘Korean wave’ refers to the popularity of South Korean popular culture in other Asian countries. The Korean wave began with the exporting of south Korean TV dramas (Okome, O. 2007, p.139). South Korean music ‘K-pop’ is also emerging as audience flock to its beautiful and familiar soundtracks. K-pop songs are seen to be expressive compared to Westernised music. BoA is a south Korean k-pop singer who broke records with her smash hits and has become a cross cultural icon helping to bridge historical tensions between south Korea and Japan. Overall South Korean shows, movies and music depict themes that Asian audiences can relate to more easily than other Western cultures. These themes include issues within family circumstances, love and filial piety in a changing society. Because these themes are so close to home for the South Koreans their music and other media is very popular and is often relied upon to get an individual out of a difficult circumstance, E.g. a death of a relative. Example of South Korean K-pop music, BoA – Copy and Paste.